New Years Eve always calls for celebration! Join us at Cabot Shores for an evening of delicious food and wonderful music. The buffet will include soup, salads, meat dishes, seafood dishes, vegetarian/vegan dishes, roasted vegetables, potato, varieties of desserts and more. 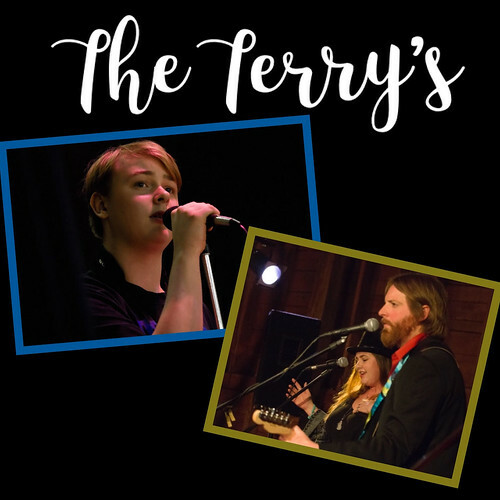 he Terry’s are family from Truro, NS who spend their time creating music. With their three part harmonies, and a blend of guitar, fiddle and piano, they combine timeless songs with a youthful energy. A mix of traditional, classic rock, and jazz sets the tone for a wonderful evening of musical entertainment. Reservations required for Dinner. Get your tickets online now! Or phone 902-929-2584. This event is part of the Cabot Trail Acoustic Festival Series (sponsored by the Good Health Festival Society). Want to stay the night in a yurt or lodge room? 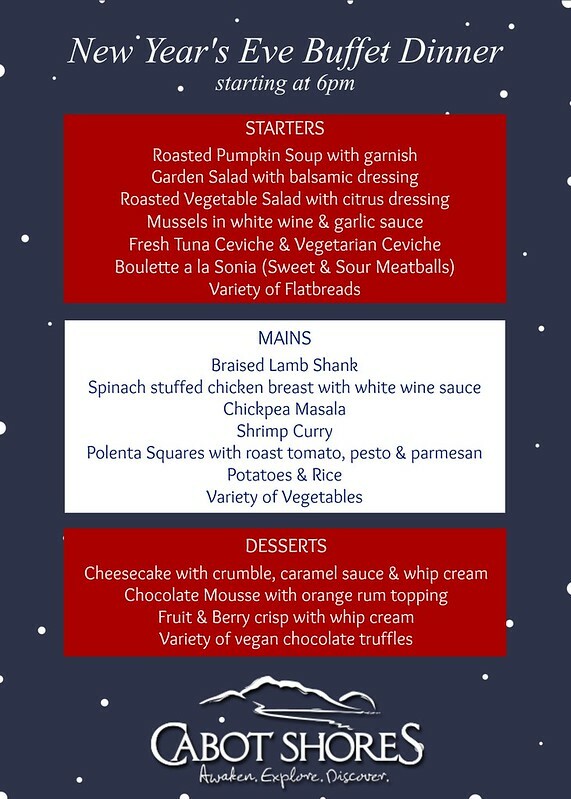 We have 1 & 2 night New Years Eve packages available! Click here for details.